With more language schools in Chiang Mai than there are fitness centres in this city, you might wonder which school is best for you to study with, if you want to polish up your local lingo. For most of us, the answer probably depends on how serious you are in your Thai study endeavours, whether you need a 1-year education visa and what’s your budget. Most foreigners probably just pick a school nearby: convenience mostly wins over price and quality, you don't want to get stuck in traffic over a lesson, but if you do have the choice of several schools not too far away or you're a more serious who wants to get most out of your studies, or the contrary: you just want to get your 1-year education visa without too much study, it's worth to compare. I’ve studied Thai for some 3 odd years at various language schools, and hopped in for a test lesson at others. Complemented with the feedback I got from friends who study at other schools, here’s my overview of the best Thai language schools and ways to learn Thai in Chiang Mai. I also include some other well-known schools which I think don't belong to the best ones, for the sake of completeness and those which offer a good education visa deal. If you want to find a good language school, ask for the qualification of teachers. Not everyone who can speak Thai can also teach. Some schools work with part-timers without much experience or real qualifications. Obviously, a teacher who has a Masters Degree in Thai Languages is didactically better than an average Thai who thinks he/she can speak and teach Thai, but doesn't really know the background of grammatical rules and the origin of words. Decide if you want to have a 'good view' staring at cute young teachers or possibly date them or if you really want to learn something. If you want to learn, you need a good teacher, not a nice teacher, all Thai are nice but a good teacher is willing to continuously correct you. Does your teacher need to master a good level of English? Well, in the beginning it's not so necessary, but as you advance, the lessons can be more efficient and subtle if your teacher can relate more abstract things to you using an English explanation. Calculate the real costs per hour, this is a fair comparison. For example, some people think that Payap is expensive, but that only seems so because their modules include a large number of hours. The real costs per hour are actually rather low. If you meet a freelance teacher in a coffee shop at THB 300 per hour and you have to pay for a coffee of say THB 70 to stay an hour, your real costs are actually much higher than when you go to a real school and get either a group or a private lesson at THB 80-250 per hour, with a teacher who has a real degree in teaching. As a general rule, the more education visa students in your class or school, the less serious both students and teachers become. Some education visa students are merely interested in the possibility to stay in Thailand for a long time, and are not so interested in the study. It's hard to judge the quality of the lesson materials when you're still a beginner, but some books and materials are a pain to work with when they are full of mistakes and don't offer enough clear reference material to review your homework. Most beginners believe that their teacher is great, because they are moving up from zero, but in fact some of them are learning slow, ineffective or even taking in wrong information. 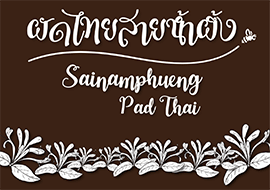 Thai-style education is more of the "repeat-after-me" style and that's what you also find in the more old-fashioned language centers in town. Beware that you don't learn "official Thai" only, some methods teach foreigners the correct way to speak but nobody around you talks like that. So, it's good to know the official way, especially for reading and writing, but for daily life you need to learn the spoken language too. Should you go as far as learning slang, local accents or local dialects such as pasa meaung in Chiang Mai, or even vaul words? In my opinion it should be of your lowest priority. Slang is useful to some extent but only after you master Thai proficiently. There is no point to speak broken Thai with a few outstanding slang words, just to show off to your Thai friends. Local lingo like the one spoken in Isaan or Chiang Mai should not be of your interest unless you're really fluent in Thai, although it's just fun to pick up a few local words at the market (jiao). Vaul words have no added value whatsoever for you as a foreigner, not to hear them and not to speak them. Speaking them may get you into serious trouble, hearing them means you know when somebody is speaking bad words, so what? It's always best to switch to the local script as soon as possible. So teaching methods that leave you playing with phonetics and romanization script to replace the Thai alphabeth are wasting your time and delay the real deal. You only learn Thai by using the Thai alphabeth. This is all the more true for Thai language because there is no nationally reckognized romanization or phonetic script, such as there is in China with it's fantastic pinyin. In China, if you stick with the pinyin, you'll be able to read road signs and complete books for the reason that it's one unified and nationally recognized system, so if you stick with the pinyin or fall back on it now and then, it's not such a bad thing after all. Thailand obviously lacks the degree of organisation and discipline to ever work with one phonetic system so it's best you switch to Thai alphabet as soon as possible. Should you take private Thai language lessons or group lessons? VI. GROUP LESSON VERSUS PRIVATE? Group lessons are cheaper and more fun but you need to be able to commit the time to attend the fix lessons. Private lessons are more expensive yet can be very effective if you're motivated. Group dynamics can be fun and sociable, but can also drag the pace of the group when some foreigners like to show off what they know of Thai language and start discussing with the teacher. If you're merely interested in the education visa and learning Thai is just a side issue to you, you should know that some schools work with minimum attendance rates while others don't really care or even fill out your attendance scheme when you're not there. 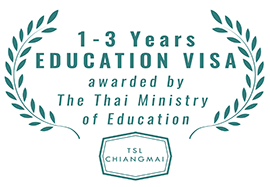 In principle it's possible to find any school offering an education visa with an attendance scheme ranging from the serious to the lenient and at a cost varying from THB 14,750 to THB 40,000 per year. VIII. BACK UP ADMIN OFFICE / SCHOOLS GOING BANKRUPT / SCAMS? At the least, a strong back office with a detail-minded admin is important for your paperwork, especially when you have to report to Immigration every 90 days for your student visa. I know several people who had to go back to their school after queuing up for several hours at the Immigration office because some paper was filled out wrong. But more important than that, a strong admin and a good background organisation is crucial for a Thai school to survive, especially when the school provides for the education visa. This may not cross your mind at first when you subscribe to a school. Regulations with regards to the education visa have been changing every few weeks or so during the past few years and even Immigration staff weren't sure sometimes of how to interpret the new rules, so many schools have had trouble to send in the documents in a way that Immigration requires. In the worst cases, Immigration took away the license of the school to provide for education visa, leaving many students were left uncompensated and stripped of their education visa. Besides that, some schools in Chiang Mai have in the past suddenly gone out of business for whatever reason and didn't compensate their students for fees already paid. Examples of doubtful practises have been reported with CMU Language Institute. By far and without a doubt, Payap offers the best series of Thai language courses available in Chiang Mai for the serious Thai language learner. Payap has built a name and has designed a system of learning that literally gives you no room to escape, you have to learn and it works. Besides that, the teachers are really good and they are serious about teaching you. If you really want to learn Thai within a short time span, this is your place. You need a firm commitment in time during a few weeks, though. If you’re not that serious about studying Thai, or you just want to get a 1-year education visa without studying much, this is not your place. Another benefit of studying in Payap Language Centre is that it also offfers English language programmes for Thai students, so if you know how to make new friends you can actually do some more language exchange. The Payap campus is nice too. Only thing, the location is a bit out of town. There is one more disadvantage for those interested in the education visa. Payap only opens a group when there is a minimum of 5-6 students registered. If there are no groups at a higher level, it means you can't study and then technically your education visa becomes void. Course fees: THB 8,000 per course. This includes handouts but not a textbook. Mind you, fees are fully payable in advance. Costs per hour: THB 133 per hour. Some people complain that Payap is expensive, but that’s not true, the costs per hour are very reasonable for professional lessons given. Very fair discounts given if you book 2 or 3 successive courses at once. Class size: the classes are not too big. Teacher qualifications: all teachers here are very qualified and have thorough teaching experience. Some teachers have written their own Thai language books. Methodology of teaching: Payap has a very thorough system of teaching that focuses step-by-step on what you need to learn. Also, due to intensity of the lessons and group work, you are forced / induced to learn fast. Education visa offered: yes, at additional fee of THB 4,700. Very professional Thai Language school suitable for the more serious students from beginners level to master level. Highly educated (minimum of bachelor’s degree) and experienced teachers with an established curriculum. 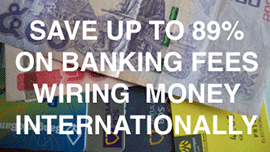 Provides ED-VISA for 6 months and 1 year program (no fake ED VISA here! ), group courses, private lessons, Thai culture classes, Skype lessons and study at home. Location: Pantip Plaza, 3rd floor. Relatively new Thai language school that focuses more on serious students and higher, advanced Thai language learning. Methodology of teaching: This school uses both books, audiovisual means and conversational style teaching. Manna Thai Language School is another excellent school suitable both for the beginner, intermediate and advanced student. Manna uses the innovative Total Physical Response method for the first 2 course levels, which helps you to learn faster and focus on language structure in a natural way, without distracting your attention to reading and writing. This unique teaching method was developed by a former CMU linguist and was awarded a price in 2017 by the Thai Ministry of Education. Although the founder is Christian, the school is open to anyone. Methodology of teaching: This school advertises the so-called TPR method (Total Physical Response). It's supposed to Body / Objects / Pictures and Story-Telling ways rather than phonetics, reading and writing. The American University Alumni or AUA is probably one of the oldest language schools in Chiang Mai (since 1985). Not only does it offer Thai lessons to foreigners, but it also offers lots of English lesson programmes to Thai, and I think the English lesson part is much bigger. This school has a tested methodology and long-serving teachers who know the ropes. You can't go wrong here, although the style of teaching can be a bit old-fashioned ("repeat-after-me"). Course fees: THB 5,300 per course. Fees are fully payable in advance. Teacher qualifications: all teachers here are very qualified and have thorough teaching experience. Methodology of teaching: AUA has a proven good system of teaching. Private Lessons: available from about THB 340 per hour, but if you put a small group together of fellow-students you can bring the costs down to THB 460 per hour for 4 people. The YMCA is another long-serving language school in Chiang Mai. Besides Thai lesssons to foreigners, there is a whole range of other languages such as English, Korean, Japanese and Chinese. This is a well-run center that has a proven track record. There are quite a lot of Asians here too. Education here is good, but very much depends on the teachers. Course fees: range from THB 2,300-5,500 per course depending on the level. The more basic levels range from THB 2,300-2,900. Fees are fully payable in advance. Methodology of teaching: the books work well but some parts look a bit old-fashioned. Private Lessons: available from about THB 325 per hour, but if you put a small group together of fellow-students you can bring the costs down to THB 180 per hour per person for a group of 3 people. For an institute based on CMU's campus, one would expect the highest standards of teaching and practise available in Thailand. CMU as a university is ranked 3rd in Thailand and is the leading institute of knowledge in the North of Thailand after all. The Language Centre providing language courses to foreigners, however, seems to be not entirely part of the university and so one cannot defer that it has the same standards. It appears more like a private institute that somehow acquired the name of CMU and uses the premises on CMU's campus, but the teachers are not necessarily hired from the university, as one would expect, and other practises are not in line with CMU's policies. Moreover, the CMU Language Institute has a long history of 'bad fame': not refunding money to students, refusing to issue documents and so on. Also according to my information, it was revoked its license to provide for education visa, and many students became victims without any compensation. This has created a lot of bad name for the Language Institute, but new-comers don't know. For this reason, I would NOT recommend this language school at at all. If you do enroll, be warned. As of now, the education visa is provided again. The Language Institute offers only 2 programs: a 1-year programme including the 1-year education visa and a very short crash course of only 45 hours. Additional benefits are that you can use the university campus' facilities at very low costs. Course fees: THB 30,000 Baht for 216 hours of instruction (THB 139 per hour) for the 1-year programme. THB 6,000 for 45 hours (THB 133 per hour) for the Survival course. Methodology of teaching: Home assignments and group work play a role in teaching. Education visa offered: The 1-year programme comes with the 1-year education visa. Maximum age for students to apply for this program is 55 years. NES (New Zealand Education Services) is a broad language center mainly focused on teaching English to Thai students, but it also offers Thai for foreigners. The level of teaching depends very much on the branch. According to my sources, the branch at Taphae is OK, while the branch at Nimman is so so (yet popular due to its location). Some students have reported financial fraud with a NES branch. Walen is probably one of Thailand's largest language schools with 10 branches all over Thailand. 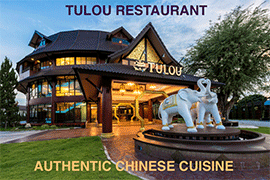 In Chiang Mai, there are 2 branches but only the one on Huaykaew road is focused on foreigners. Walen has a good back-office administration and a rather systematized, yet strict method of teaching. If you take a course in Chiang Mai and then move to Phuket, you can continue your courses there, so it's great for those moving around in Thailand. I find the main downside of Walen as a place to study Thai that the teachers aren't really that qualified. Mostly young girls who perhaps studied English but don't have a full qualification or experience in teaching Thai. I heard there is even an internal policy for the teachers to use make up and they'll get fined 150 baht if they don't. So the emphasis here is on presentation of text book by a cute girl rather than on real quality. The systematized method that mainly follows the book and repeat-after-me methods are suitable for any beginner teacher to teach. Go here if you prefer "good views" looking at young cute teachers and you need the student visa or you travel around Thailand, if not, this is not your place. It's possible to take a free trial lesson. Class Times: minimum 2 hours per day, mind you 1 lesson = 50 min (not 60 min), 2 or 4 days per week. Teacher qualifications: not all teachers here are very good, some teachers are qualified as an English language teacher only. There are quite a lot of cute young teachers. Methodology of teaching: Walen has a good methodology of teaching using a 'natural learning process' and questions and answers. No romanized characters for phonetics but straight to Thai alphabeth. Education visa offered: yes, at additional costs. Minimum 200 lessons per 6 months or 400 lessons per year. For more expensive packages, Walen even arranges international student card, temporary housing and a tutor, all of which is focused mainly on the overseas market. Private Lessons: available from about THB 570-750 per hour (400-30 hours), which is rather expensive. According to my sources, Prolanguage came into existence when one of Walen's teachers left Walen and started a school on her own. So much of the teaching method and back-office admin is copied from Walen. Right now, Prolanguage is one of the most popular language schools in Nimmanhaemin. I don't think it's really one of the best schools, but its success is mainly due to location and the fact that they seem to mainly focus on students who want to get the 6-months or 1-year education visa. The disadvantage of too many education visa students is that these are generally less serious to study, so then the atmosphere and quality of the lessons goes down. Prolanguage is centrally managed from Bangkok, with branches in Chiang Mai and Pattaya. If you're interested in another language than Thai, you can also get the education visa for studying Chinese, English, German or Japanese. This school is suitable for those who mainly want the education visa, are based in Nimman area and don't want to travel too far out of Nimman. Teacher qualifications: the teachers here are good enough but not the highest qualified in town. Methodology of teaching: I haven't taken lessons here, but at first sight the methodology seems rather average and the sequence a bit strange. For example, one learns to ask for directions in Advanced Level II, something which I got during my second year. So I don't expect the best methodology in this school. Education visa offered: yes, this is the main profit-maker and focus of this school. We Learn Thai is a relatively new school but rather active and slowly expanding. It's a cozy school that not only offers Thai lessons but also English and even Spanish (!). The teachers here are rather young and inexperienced, so don't expect the highest level of teaching here, the school aims more at attracting cute young teachers. Teacher qualifications: cute young teachers but not experienced and not all very qualified. Methodology of teaching: Expect average methodology here, but there is some modern e-learning here too. Sub Panya is a small but flexible school which provides good Thai lessons and it's offers one of the most attractive deals with regard to the 1-year education visa. There aren't many schools in Chiang Mai where you can take full lessons and get a 1-year education visa for this price. Only downside is that it's a bit far, depending on where you live, but if you can manage with your lessons this is a great way to stay in Chiang Mai, pick up some Thai and be on a 1-year visa. Course fees: Student visa 20,000 baht per year including language course. There are several places where you can have a free language exchange with Thai students or locals. They expect you exchange English with them, of course. Example: Language Exchange in Focus Bar. There are some more places that don't advertise much, sometimes in small groups in condominiums. Ask around. Put yourself in a position where you are forced to speak Thai because others can't speak English well. For example volunteer with Thai or work with locals. I learned most of my verbal Thai when I renovated an apartment and had to communicate directly with local workers. Gestures, facial expressions and real-life situations help most in understanding the context of words. Watching Thai soap TV and listening to Thai music can help to some extent, especially if there is simultaneous translation / subtitles. How music can help to improve your Thai language skills and get more friendships: Maggie Rosenberg with her splendid song about how hard it is to learn Thai language. I wouldn't be able to figure out some words without the subtitles because her accent is still very 'farang' but it's the cutest song I've come across about Thai language lately. LEARNING THAI ONLINE OR WITH APPLICATIONS? I've met several people who claim to be learning Thai online or using handy smartphone apps. My conclusion is that online tools can help you as a supplementary aid besides having real lessons, but not alone by itself, or you go very slow. You simply need the correctional effect of a real teacher in flesh-and-blood right in front of you who tells you what you do right and wrong. Friends using smartphone apps with translation tools often get to learn a few more words they like to use in specific situations, such as dating Thai girls or ordering food in a restaurant, but often they didn't learn how to read and write Thai because they simply couldn't figure out the rules and were never corrected. The same applies for watching videos online, you have to stay very committed and motivated to keep studying and then, you don't know it when you do something wrong. I would never "learn Thai from a white guy", for example, if you want to go deeper in the language you need a native speaker. Then, there are some foreigners trying to sell shortcuts to learn the Thai alphabet. My experience is, that this doesn't work because you've got to wrap your mind around what someone else finds recognizable to remember a Thai character. Sometimes you just don't get someone else's logic. It costs me double effort to remember what someone else thinks of when looking at say 'ฉ' while I've already figured it out for myself. The best is to come up with your own shortcuts to remember. Finally, if you use an app as a help besides your study, I recommend lingopal. Some claim that having a Thai girlfriend or boyfriend helps in speaking more Thai, but in my experience that hardly helps because over time a girlfriend gets used to your mistakes and then gets lazay to correct you. If you want to benefit from your partner correcting your language, you should get several girlfriends and don't meet them too often. DISCLAIMER: This article is a personal review by a Thai language student and long-term resident of Chiang Mai. It does not necessarily reflect the position of this website. Another place you could maybe look into. Earlier this year a your Thai friend had just finished Teacher's school and was taking classes at Wat Suan Dok. In addition to being a large temple complex it seems it also hosts the CM campus of the Bangkok based Buddhist university. My friend indicated to me that there were also farangs there learning Thai. Further to your comment about the evening class, we are pleased to inform you that our new introduction class to learn Thai conversion for beginners (Book 1) start on Monday 9th May 2016 at 17:30-19:30pm. (We usually open the class at the beginning of each month.) For the evening basic course is to study on every Monday-Wednesday-Friday at 17:30-19:30pm. (24 hours for one month; 3 days/week, 2 hours/class, with the reasonable price of 2,300 Baht.) If you are interested in joining our class, please confirm us as soon as possible. We still have seats available. Do not hesitate to contact us again and anytime, if you want more information. Please visit our school, and also we would like to offer you a free trial lesson. You may observe our class before applying for admission. With much appreciation, thank you. Do you have any comment for Cornerstone ? The issue is I am an employee so I'm working during most school opening hours, do you know about schools that opens on evening and weekends ?